An image shared via Twitter on 17 June shows a member claiming to be affiliated with the New Syrian Army (NSyA) or an allied group operating in Syria’s Aleppo governorate. 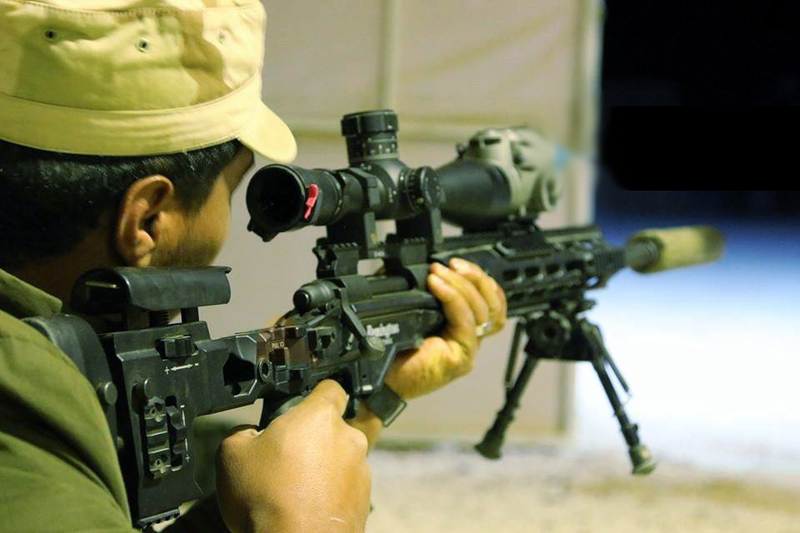 The combatant in the picture is armed with a US-made Remington XM2010 sniper rifle, adopted by the US Army as the M2010. 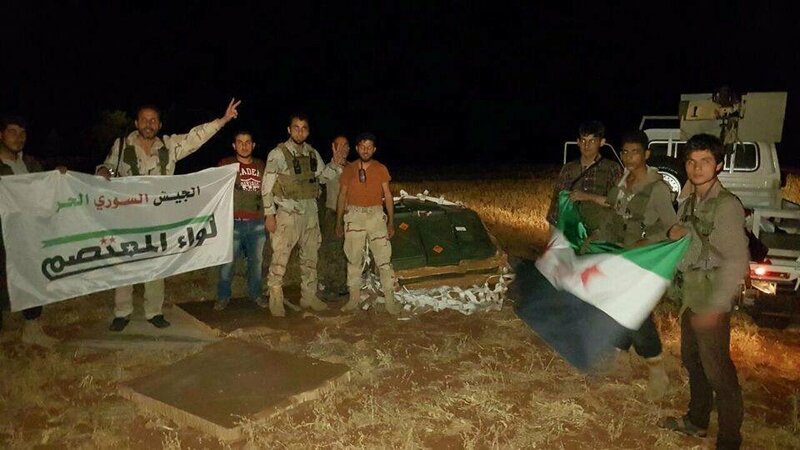 Previously, images from the same twitter account purported to show a delivery of arms parachuted to besieged rebel forces inside the town of Mare, in the north of Aleppo governorate. These were likely provided on an emergency basis in the hopes of preventing rebel forces holding the town from being overrun by Islamic State forces, and to support the arrival of NSyA reinforcements. These supplies included significant quantities of ammunition, including mortar projectiles. 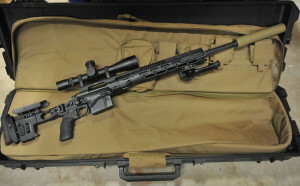 The XM2010 sniper rifle pictured is fitted with an AAC TiTAN-QD suppressor, Harris bipod, Leupold MK4 ER/T 6.5 x 20 scope with Badger Ordnance rings, and an L3 Insight AN/PAS-13G(V)1 Light Weapon Thermal Sight (LWTS). 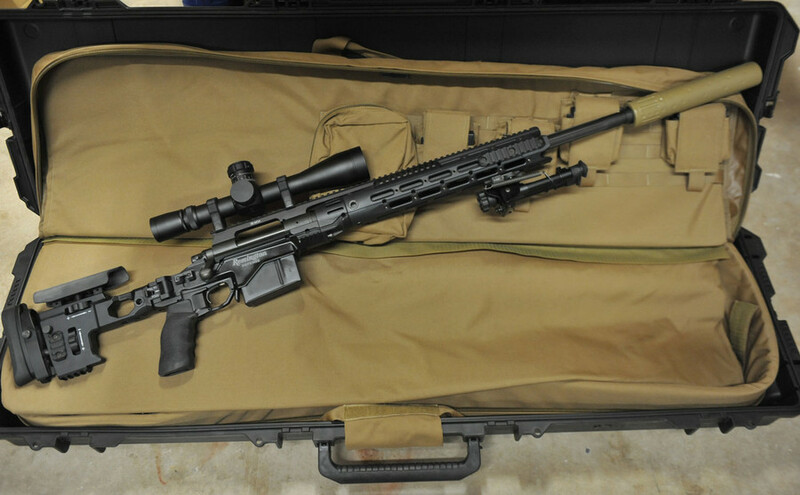 All of these accessories are part of the standard package for the US Army’s M2010 Enhanced Sniper Rifle, an upgrade and replacement program for the existing M24 Sniper Weapon System that began to be delivered in January 2011. The M24 SWS is chambered for the 7.62 x 51 mm calibre, whilst the M2010 is now chambered for .300 Winchester Magnum. The adoption of the new rifle and calibre has resulted in a weapon system with approximately 50% greater range than the M24 SWS. This is one of the first sightings of a US military-grade thermal optic delivered to Syrian rebel groups. The combination of the longer range of .300 WM ammunition, the ability to engage targets with the help of a thermal clip-on optic, and the discretion of a suppressor will be very helpful in the sniper-contested scenario of Aleppo. H/T to @BosnjoBoy & @AbraxasSpa. Note header image edited for clarity (original at link). Second XM2010 image from here.